Buy the Sanicompact online and save time and money. 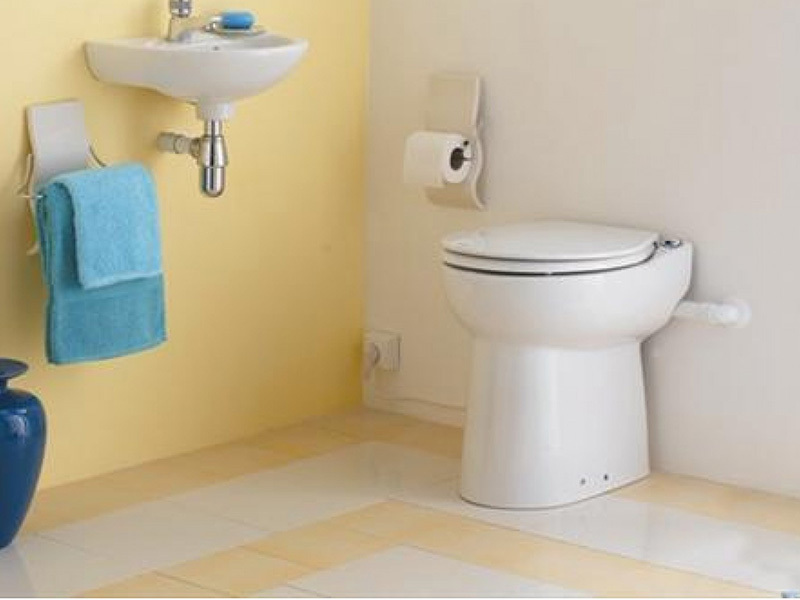 The Sanicompact from SANIFLO is the ideal solution when you want to install a new WC in limited space. 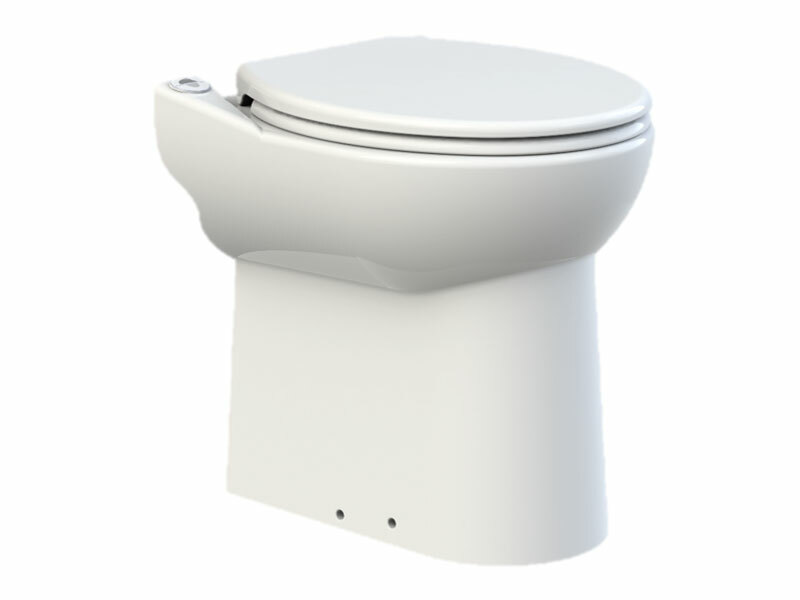 Sanicompact is a super-compact WC unit that needs no cistern and which comes complete with a built-in macerator pump, to expel waste through 32mm pipes. It even features an additional inlet for waste from a wash basin, meaning you really can make the most of what limited space you may have. Literally the Sanicompact Macerator means that you can have that extra WC anywhere in the house including the basement of loft extension or where conventional large bore pipe work is impractical. The waste can be pumped up to three meters vertically and up to 30 metres horizontally, which is sufficient for all domestic applications. Note that Sanicompact is not suitable for use with Sanialarm, and that it requires a minimum of 1.7 bar incoming dynamic water pressure (i.e. pressure while water is flowing into the unit, rather than static pressure). Operates directly from the domestic water supply. The Sanicompact as with all our SANIFLO products comes with a two year manufacturers Guarantee. The Sanicompact along with all of our SANIFLO Systems and Kinedo Shower Cubicles can be bought online with the reassurance of dealing with the leading SANIFLO & Kinedo Agent in the UK.